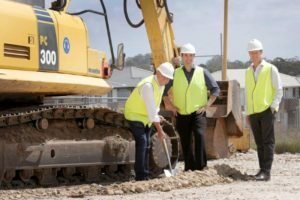 The Monarch Investments Group (Monarch) has started construction on its $150 million The Meadows at Bardia masterplanned project located in Sydney’s South West growth corridor. TRN has been awarded the civil works and Zac Homes is building the houses in stage one. 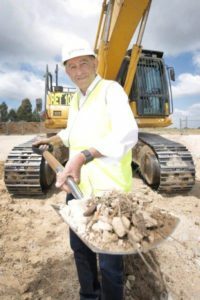 Over the past 60 years, Monarch has developed over 6,000 land lots across Sydney and New South Wales. More than 4000 were developed in the South West growth corridor. Glenn Fordham, Director, General Manager Projects at TRN said, “We have worked with Monarch for more than 10 years in helping construct their masterplanned communities across the South West. Like us, they are a family run business that is focused on providing jobs for the locals. We are pleased to be working together again to create yet another successful lifestyle community and hundreds of jobs. 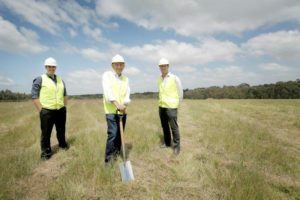 Last week a Western Sydney City Deal between the NSW government and Commonwealth is expected to create more than 100,000 jobs which includes Badgery’s Creek airport. Construction of the airport will generate $1.9 billion for the local economy, with a further $400 million across the rest of Sydney. The South West region will significantly benefit from this deal. A swimming pool, playground and recreational facilities will feature in The Meadows. It is a short drive from Crossroads Homemaker Centre which includes Costco, Bunnings and Bing Lee. Sydney’s CBD is an approximate 40 minute drive and the proposed Badgery’s Creek Airport will be located within a 20 minute commute. Prices start from $624,950 to $749,997 (average $670,000) for a three bed duplex and range in lot size from 230 sqm to 390 sqm.